While volunteering at the Dell Match Play golf tournament this spring, I had a thought that I couldn’t shake. As I watched these amazing golfers play, I realized I was witnessing true masters of their craft. 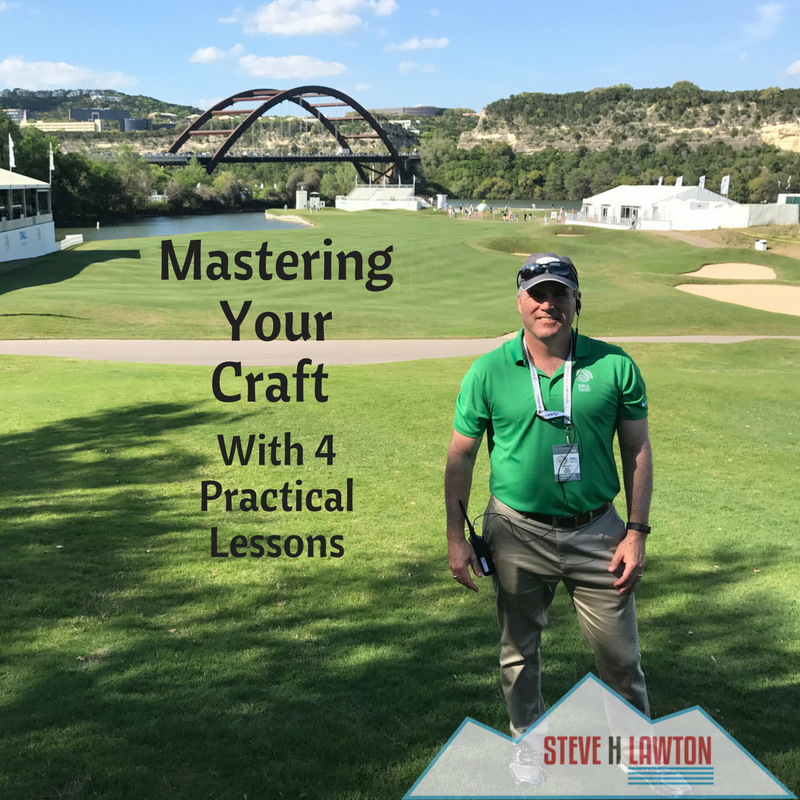 If I want to become a master of my craft, what could I learn from them that I could apply to my life? I began observing them and brought home four takeaways that would be help me be successful in my life. I think they will help you too. It’s well known that these golfers spend crazy amounts of time on the putting green, chipping green, practice bunkers and driving range to perfect their stroke. Practicing is an obvious ticket to entry; what else did they do to master their golf game and gain an advantage on their competition? One of the first observations that surprised me was how physically fit all of them were. It was clear that they put in time at the gym with workouts specifically geared to the game of golf. There is a lot of science about physical fitness making a difference in mental fitness, so even though my craft isn’t a sport, physical fitness is important. Lesson 1: Get more physically fit. The second thing I noticed was how relaxed, present, calm, and focused each of them were. In other words, they were mindful. Because golf is such a mental game, I guess I shouldn’t have been surprised. I didn’t ask them, but I bet most have a mindfulness ritual like meditation that they practice regularly. I can see how it would keep the mind quiet and focused during the high stress situations that arise in a golf tournament. I’m relatively new to mindfulness personally, but I already see a difference in myself. I am more present, less reactive to stressors, and I’m able to maintain better focus and make better decisions. Lesson 2: Practice Mindfulness such as meditation. Third, I noticed the disciplined process they seemed to follow. They all seemed to be purposeful and have a routine, not only in the practice areas, but on the course. During the practice round, they all studied the course, created their strategy for each hole, and then hit each of the shots they expected to hit during the tournament. Lesson 3: Establish a preparation process and be purposeful and disciplined about following it. The fourth thing was the amount of expert support they relied upon. These golfers are the best in their field and already at the pinnacle. They couldn’t need much help anymore, right? Wrong. In addition to their caddies walking the course with them, most players had their coaches with them during the practice rounds. The coaches were advising them not only on their golf swing, but also course strategy, and what shots they should practice during the practice rounds. Lesson 4: Get expert advice, no matter how good you are. Next came the hard part…applying these lessons to myself. What am I doing to perfect my craft? What exactly is my craft anyway? I decided that my craft is telling stories to inspire and teach people what I’ve learned about positivity and how they can apply that to personal and business situations. 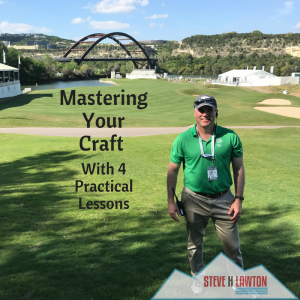 The next question wasn’t any easier…What do I need to do to master my craft? There are so many things I can do. 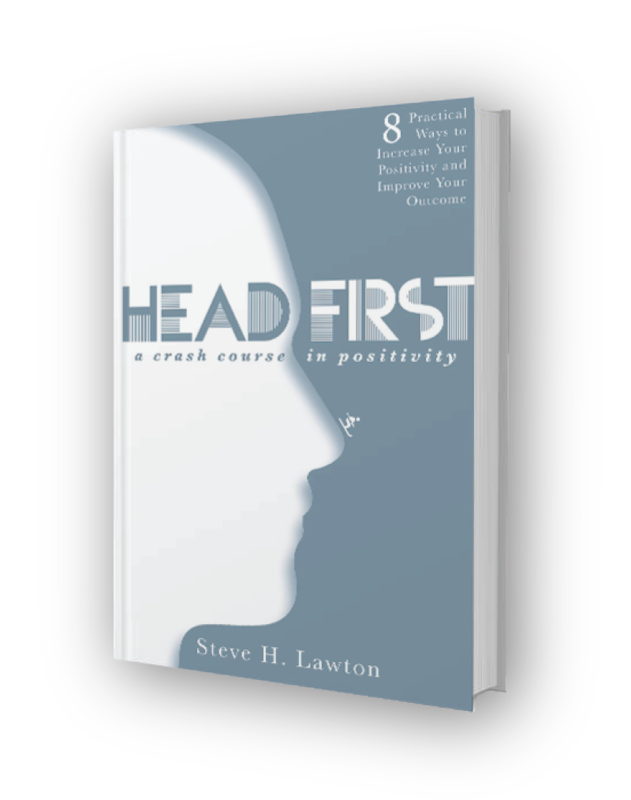 I can learn more about positivity, mindfulness, neuroscience, positive psychology, etc. I can learn to write better. I can learn to speak better. I can learn how to market or publicize my content more. The list seems endless. Thinking back to the golfers, they have a similar challenge. Do they spend time putting, chipping, on the range, in the bunkers, on the course, in the gym, doing meditation, watching film? The answer is they dedicate a little time to each. They have a process and they are disciplined about following it. They have a professional coach helping them with one or two improvements for each element. List out the different elements I need to master. Identify the ones that are most important. Get expert help and pick one or two improvements for each element. Then carve out some time into my routine to do those things. Perfection is not the goal. The goal is to simply get better than I am today. Over time, if I put in the time on the ‘practice green’ of my craft I will get better than I am today. The rewarding feelings associated with improvement and being more successful will give me the motivation to continue to practice. What’s your craft? What are the elements you need to practice to master it? What are you going to do to get better at each element? When are you going to fit this into your daily routine? If it feels daunting, just pick one thing to improve for now and add more later. Every time you do something to help yourself get better, not only do you take a step closer to mastery, you get a boost to your happiness and positivity. Give it a try!